It’s Meatball! He has got to be at least partly some Staffie – look at that perfect Staffie grin. Check out his big, smilie family on Instagram, you’ll be smilin’ too. Thanks Lisa for sharing this gorgeous boy! 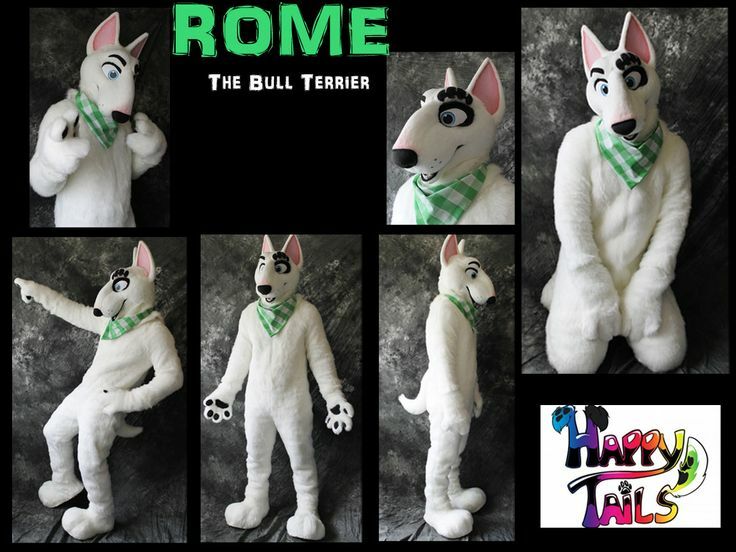 Thinking bull terrier in a costume? No! Bull terrier costume!